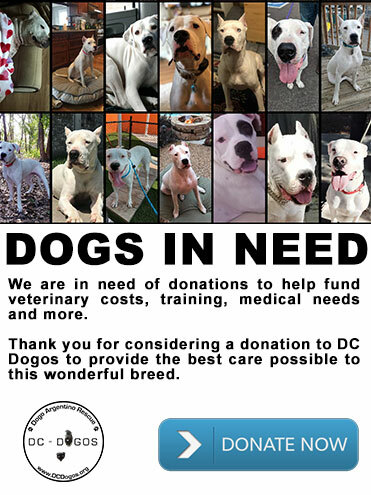 Your donation to DC Dogos will be used to help save, vet, and train Dogo Argentinos that are in our rescue. 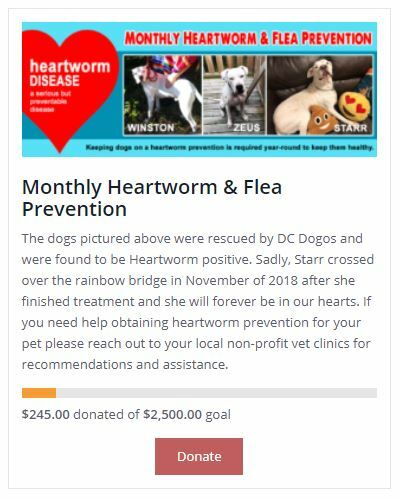 The rescue depends on donors in order to care for the dogs and this rescue is all volunteer, which means nobody is receiving any compensation for the work they do with DC Dogos. We do have overhead costs that must be considered, but they are kept to a minimum so the money goes to where it is needed most, our Dogos. We are contacted almost daily about dogos that need our help. The dogos in our rescue have been saved from kill shelters, neglected homes, abandonment, dumped, dog fighters, irresponsible owners, and sometimes from situations where owners simply cannot keep the pet. We take in an average of 6 dogos a month and our medical, temporary boarding, and training expenses each month run approximately $2,000. Severe medical cases can cost the rescue in upwards of $3,000 or more depending on the nature of the injuries or condition. We care for the dogs as if they are our own pets and our goal is to get them the care they deserve! 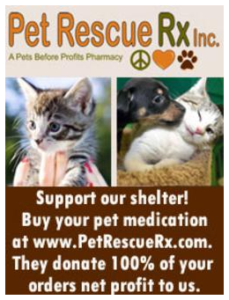 We are a 501(c)3 organization which allows your contributions to be tax deductible. 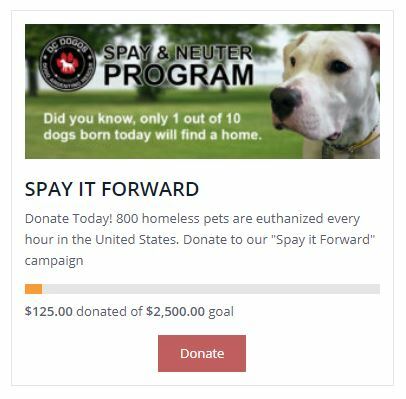 You have many donation options including Paypal, Amazon Smile, Monthly Contributions, Fundraiser Campaigns, and Mail In (Yes, we do accept checks too!). 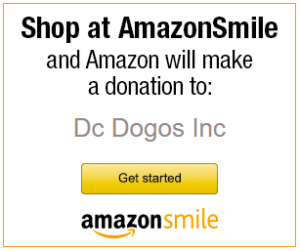 Donations to DC Dogos are tax exempt and the money truly goes to the dogs! 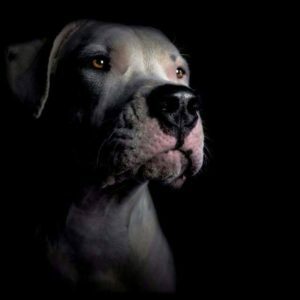 All of us involved with DC Dogos are animal lovers with a strong passion to help and save Dogo Argentinos nationwide. Read a letter from our Director. 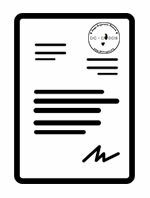 *DC Dogos, Inc.is a Maryland non-profit corporation and tax-exempt under Section 501(c)(3) of the IRS Code. Your donation is tax-deductible under section 170 of the Code. Per Maryland law, our financial statements are available upon request.